​Founded in 1911, Sturm Elevator has been a family owned and operated Oregon business for over 100 years. In that time, we’ve been servicing, maintaining, repairing, inspecting and certifying commercial elevators in Hood River and all over the beautiful state of Oregon. If you’re a business owner or property manager searching for the very best commercial elevator services in Hood River, Oregon, look no further than the professional team with over a century of experience behind us. We offer expert commercial elevator services – including 24 hour a day, 7 day a week on call emergency commercial elevator services – to Hood River, OR businesses. Call the Sturm Elevator team at 503-284-2003 for a complimentary consultation and estimate. A properly functioning, reliable elevator is crucial for any multi-story business. You want your customers, staff and tenants to be able to move safely and efficiently throughout the building. Sturm Elevator offers any commercial elevator service your business could need along with replacement parts and 24 hour emergency commercial elevator services. If breakdowns occur, you can call Sturm Elevator at any time, day or night. For a closer look at commercial elevator maintenance, service and repair in Hood River click here for our website’s main Commercial Elevator Services page. To get in touch with Sturm Elevator call us direct at 503-284-2003 or complete our Online Contact Form below for a prompt callback. There is no better choice for commercial elevator modernization in Hood River Oregon than the Sturm Elevator team. A poorly functioning elevator in your business can create both a safety risk for your guests and staff, and a financial drain on your bottom line. Sturm Elevator offers commercial elevator modernization services to keep your elevator running smoothly, safely and efficiently. Click here for a more in-depth look at our Hood River commercial elevator modernization then call 503-284-2003 for a complimentary consultation. We may be able to offer a plan of action and estimate over the phone, or we can dispatch a technician to your location to determine the best course of action for modernizing the elevator(s) in your business. Did you know that Oregon law requires commercial elevators to be inspected and certified every 6 months? If you have an elevator in your business, Sturm Elevator makes Hood River commercial elevator inspection and certification simple and easy with our open ended service agreements. 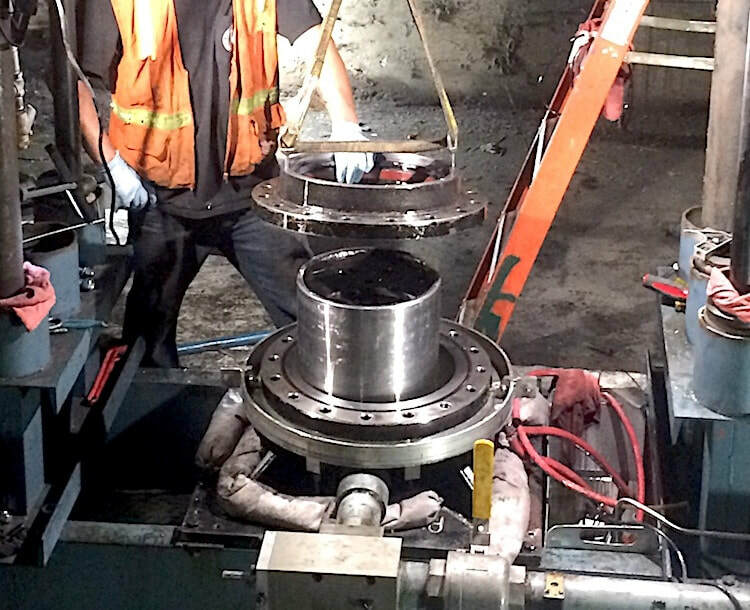 When you’re on a service agreement with Sturm Elevator, we’ll automatically come to your business every 6 months to conduct the inspection and certification… no need for you to worry about scheduling. It all happens like clockwork as long as the agreement is in place. To request commercial elevator inspection and certification in Hood River Oregon or to find out about our automatic bi-annual elevator inspection and certification service, give us a call at 503-284-2003. Being in compliance with Oregon commercial elevator law couldn’t be easier. To learn more about Oregon inspection and certification legal requirements, click here for our Commercial Inspection Services page. If your business has and utilizes a commercial sidewalk elevator or commercial freight elevator in Hood River, you’ll want a professional team like Sturm Elevator for maintenance, servicing and repairs along with inspection and certification. Ensuring the safety of staff and customers is a top priority for every business. We’ve got the experience, skills, tools and team to keep sidewalk and freight elevators operating at peak efficiency. Keep your Hood River commercial sidewalk elevator or commercial freight elevator running smoothly and safely by calling Sturm Elevator at 503-284-2003. Fill out our Online Contact Form below and a Sturm Elevator team member will reach out to you shortly. For businesses with 2 to 4 stories, we offer commercial elevator installation services in Hood River Oregon. Smaller scale businesses such as churches, schools, funeral homes, restaurants, apartments, extended stay hotels, nursing homes and assisted living facilities are all ideal candidates for a Limited Use & Limited Application commercial elevator (LU/LA). A commercial LU/LA elevator is a modern, safe and energy efficient option to allow guests and staff to move easily between the floors of your business. Having maximum accessibility for all customers and employees is good for any business. For more details, click here for the main Commercial Elevator Installation page of our website. Talk to Sturm Elevator to see if Hood River commercial elevator installation is the best option for your location. Call us at 503-284-2003 or use our Online Contact Form in the section below. Hood River, OR businesses needing expert commercial elevator maintenance, repair or inspection and certification services have relied on Sturm Elevator for decades. We’re always available and we’ve got all your Hood River commercial elevator needs covered. If your commercial elevator has broken down or is stuck between floors and you need emergency elevator repair services, call the Sturm Elevator team day or night at 503-284-2003. Elevators aren’t the only solution for a business needing to increase accessibility or improve ease of movement. Sturm Elevator installs and repairs commercial chairlifts and commercial stairlifts in Hood River Oregon businesses. Modern commercial chair lifts and commercial stair lifts offer quiet and smooth operation, allowing guests and staff to move between floors. We even offer outdoor chairlifts and outdoor stairlifts to allow customers and employees easier access in and out of your building. 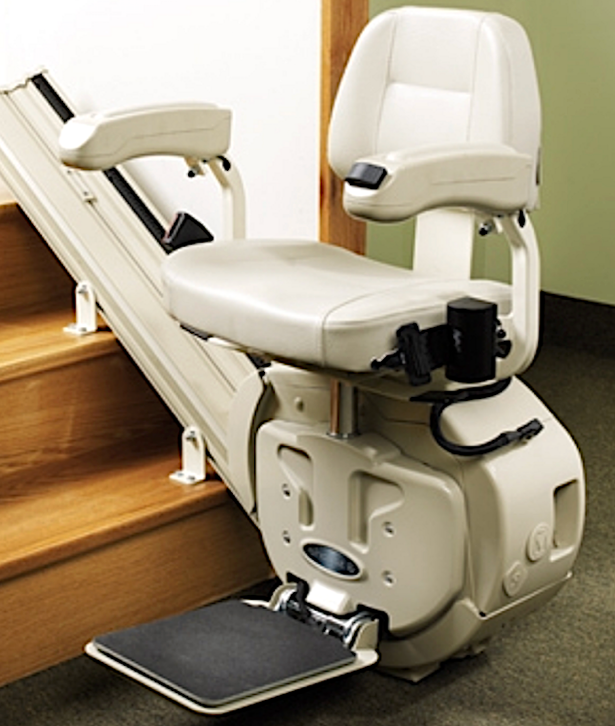 Call 503-284-2003 to speak to a member of the Sturm Elevator team about Hood River, Oregon commercial chair lift or commercial stair lift options. If you’d like us to call you, please complete our Online Contact Form below. 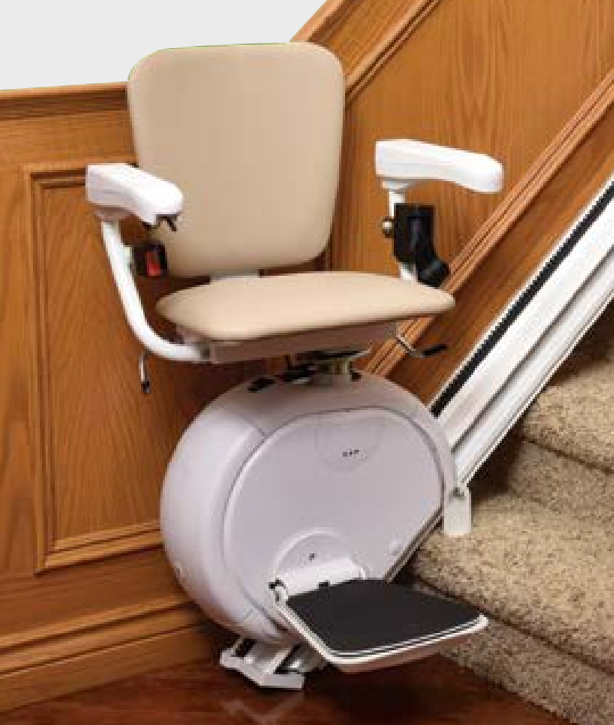 You can also click here for our Commercial Chairlift & Commercial Stairlifts page for more information. If the movement of heavy items between floors is common at your business, talk to Sturm Elevator about commercial dumbwaiter installation. If your business has an existing commercial dumbwaiter, we’re the experienced professionals for commercial dumbwaiter maintenance and repair services in Hood River Oregon. Dumbwaiters may seem like an old-school way of moving things between floors, but our modern commercial dumbwaiters can handle loads of up to 500 lbs. This translates to less on the job liability when your staff aren’t carrying heavy loads up and down stairs. For our Commercial Dumbwaiters page, click here. You’ll find detailed specifications for commercial dumbwaiter installation for your Hood River business. You can also complete our Contact Form and request a callback, or call Sturm direct at 503-284-2003. When your Hood River business requires commercial elevator or commercial mobility and accessibility services, call the elevator experts at Sturm Elevator. We’ve been providing the very best commercial services for over 100 years. 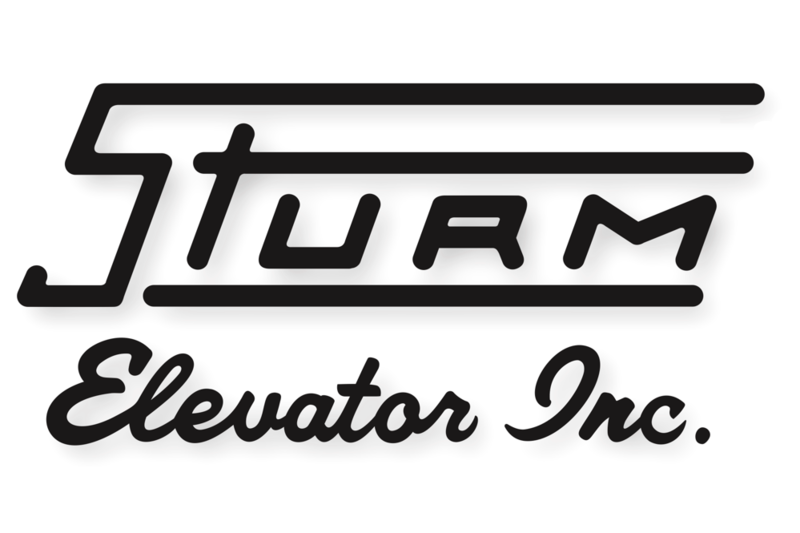 Sturm Elevator is your Oregon family owned and operated professional elevator team. You can view our main Commercial Elevator Services page by clicking here. There we offer a more detailed look at all of the commercial elevator services we provide to businesses in Hood River. To have a member of the Sturm Elevator team call you back, complete the Online Contact Form below. You can also contact us directly by calling 503-284-2003.